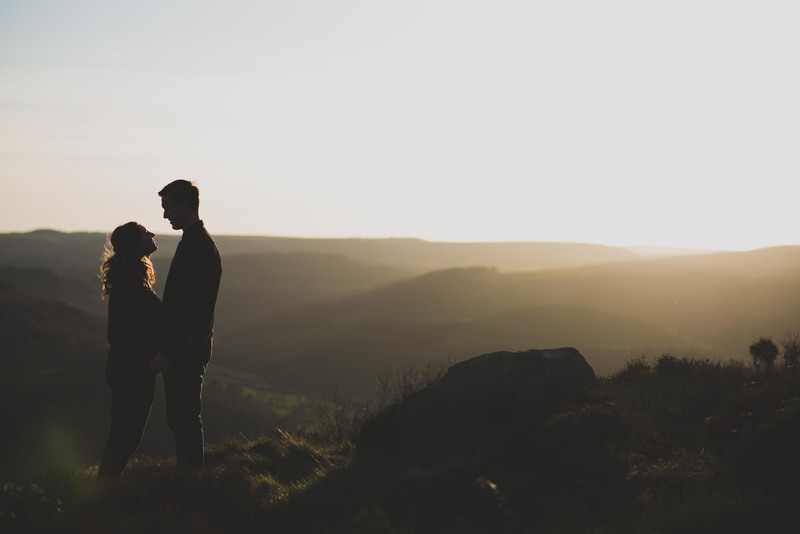 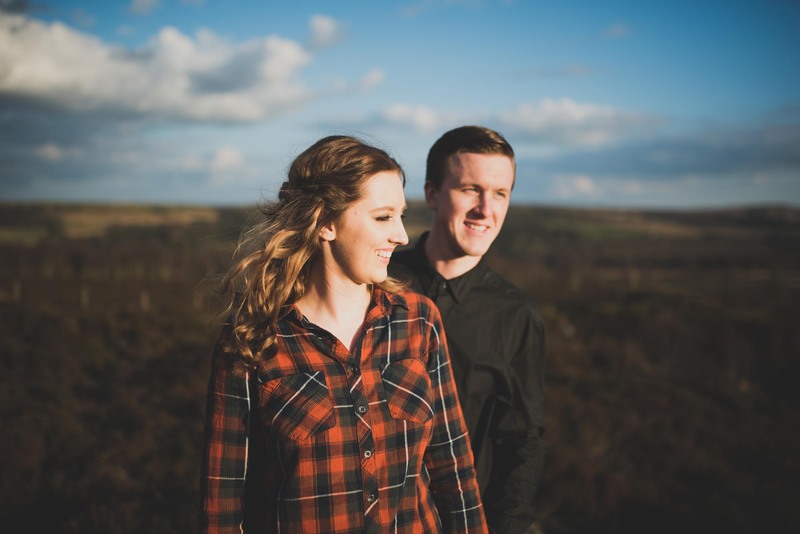 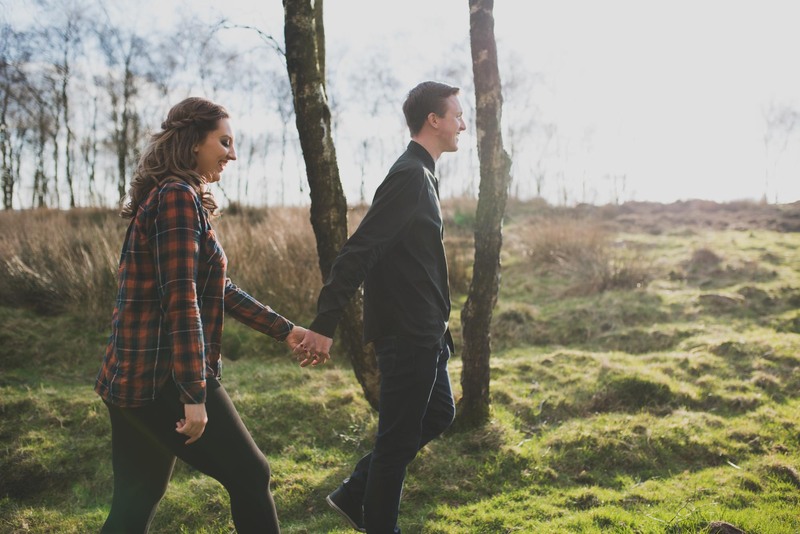 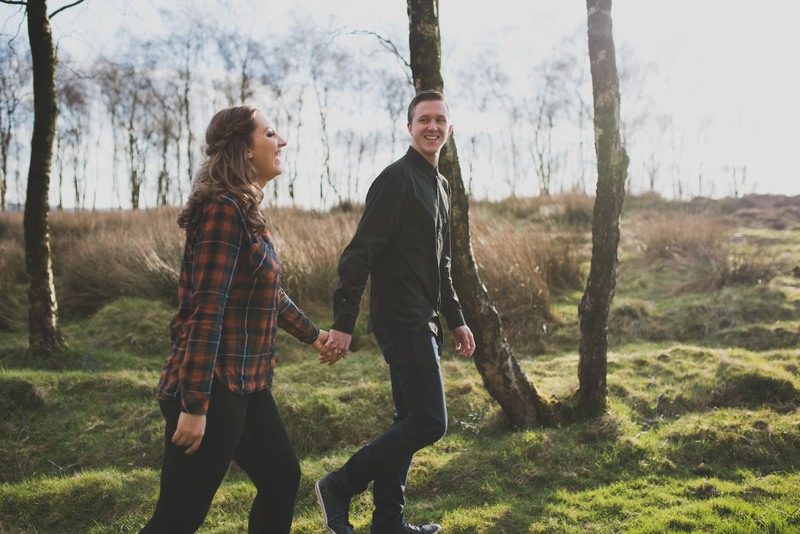 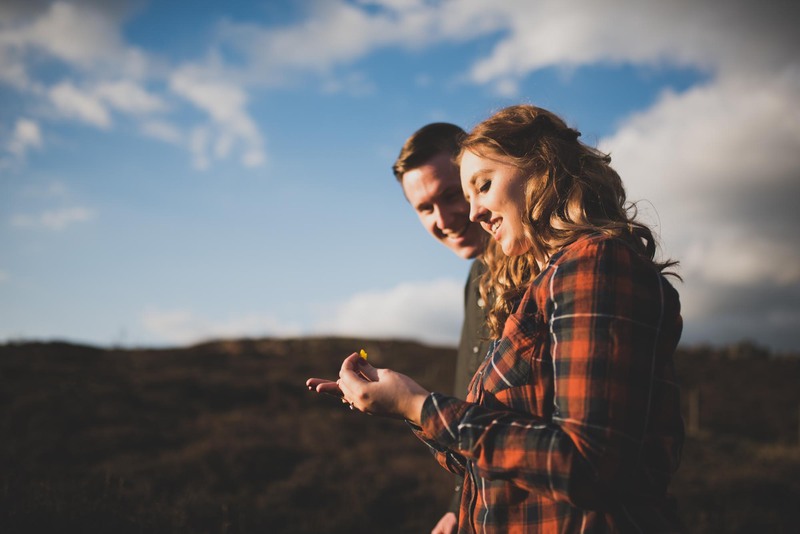 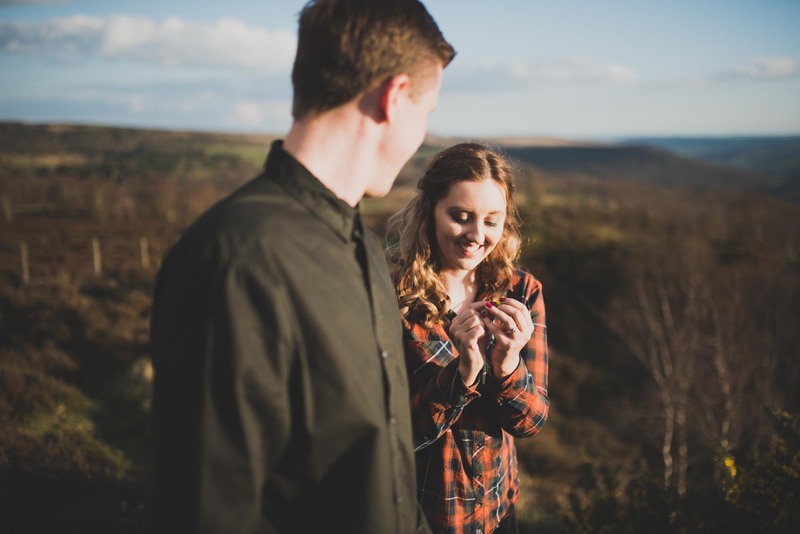 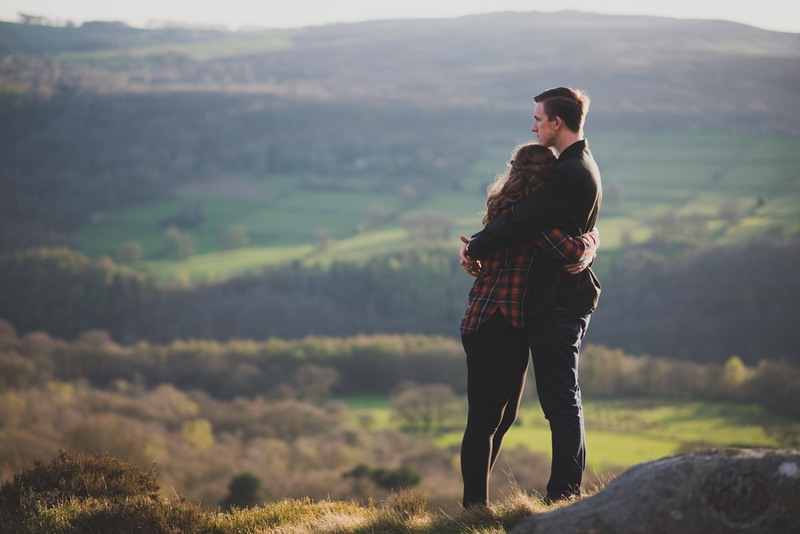 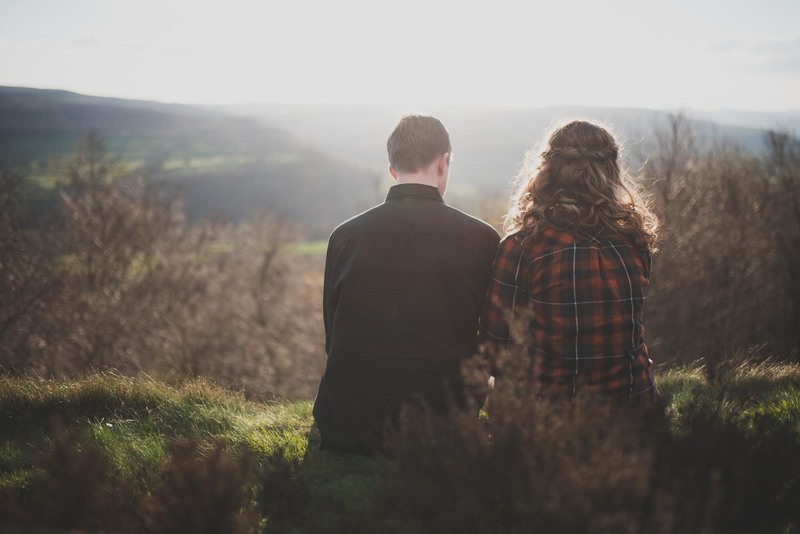 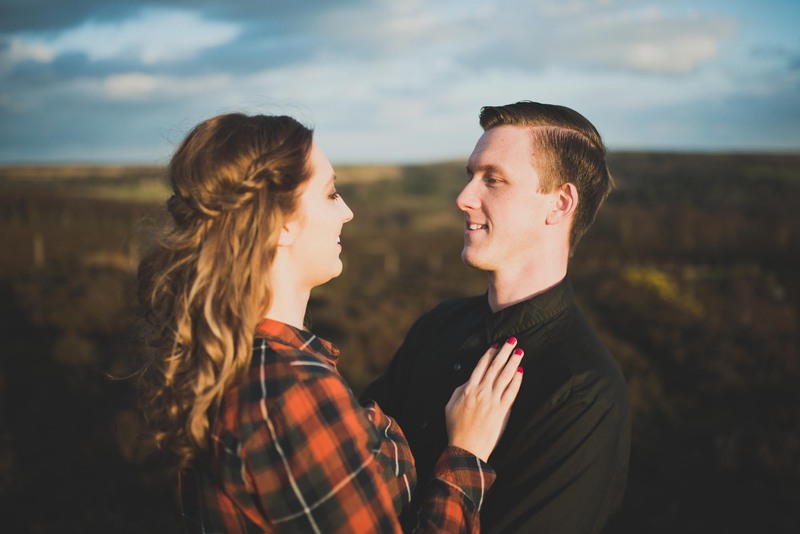 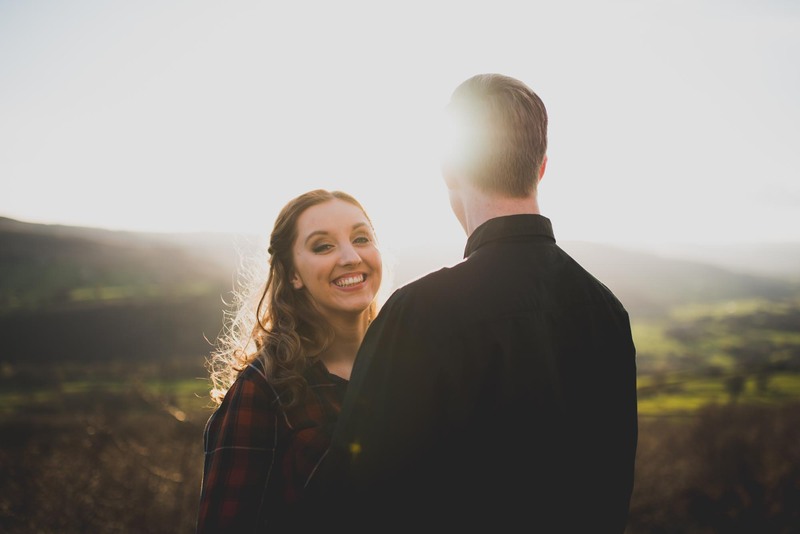 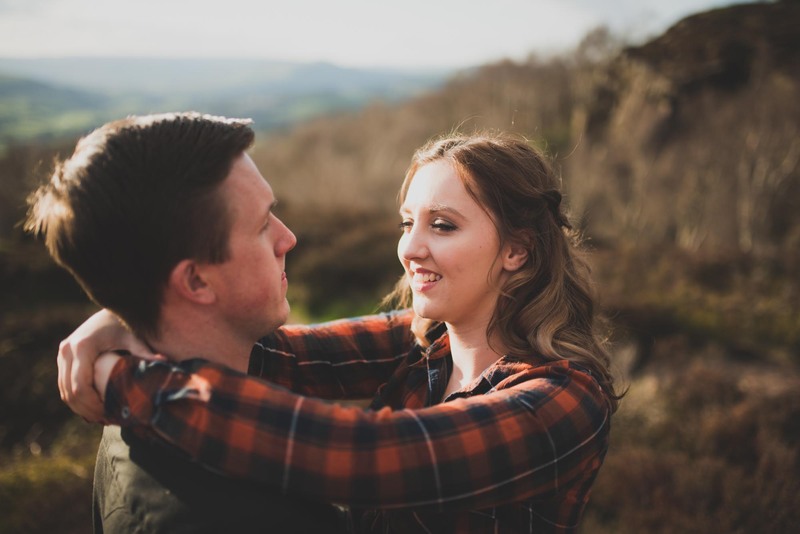 Kirby and Danny’s wedding day is fast approaching so it’s high time for them to get some practice having their photos taken, and what better way than to head out to Surprise View in the Peak District for an engagement photo shoot. 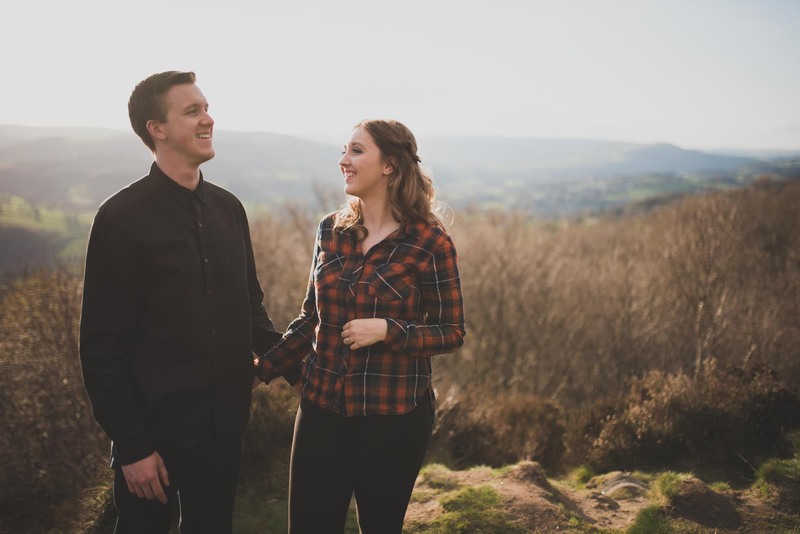 We had already postponed one engagement shoot due to the weather so it was a great relief to have a reasonably clear sky and a beautiful sun slowly descending behind the peaks. 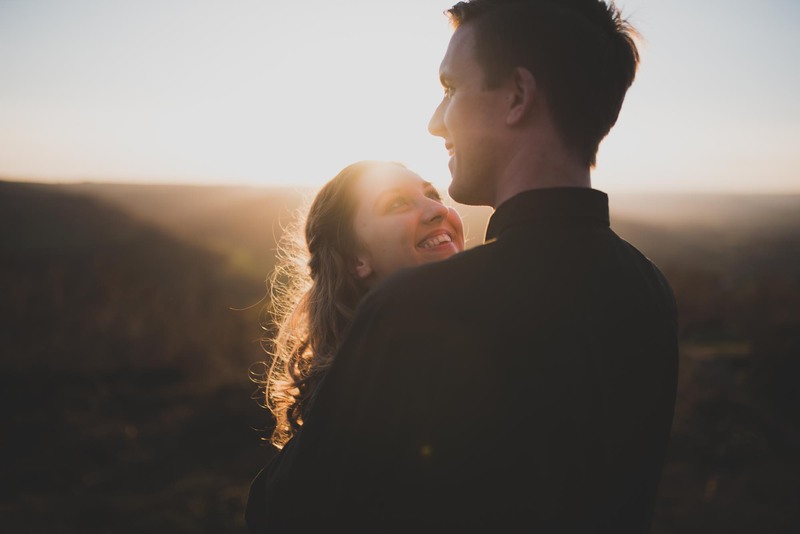 We spent about an hour and a half plodding about getting photos, the last half hour was the most productive as the golden hour kicked in and the silhouettes started happening. 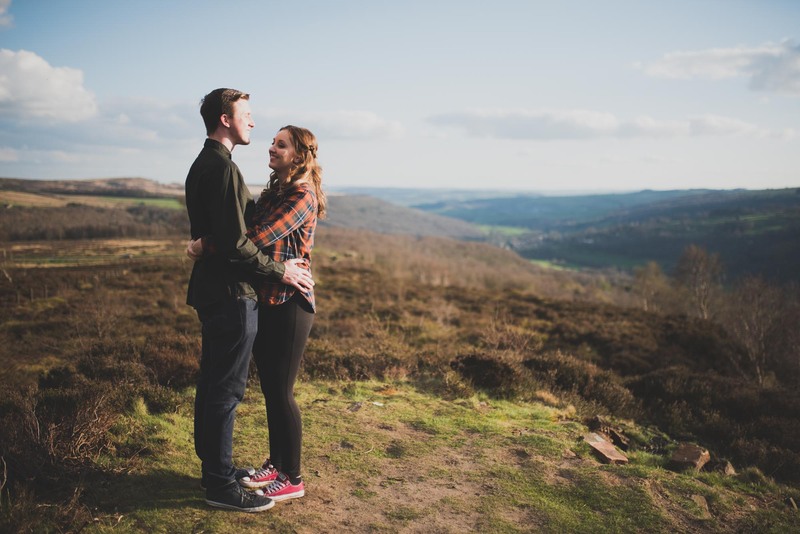 This may seem totally out of place on a photography blog, before we carry on with the photos I want to throw in a little help for anyone looking for information on Surprise View car parking charges, purely because I couldn’t find any information on this myself when searching online. 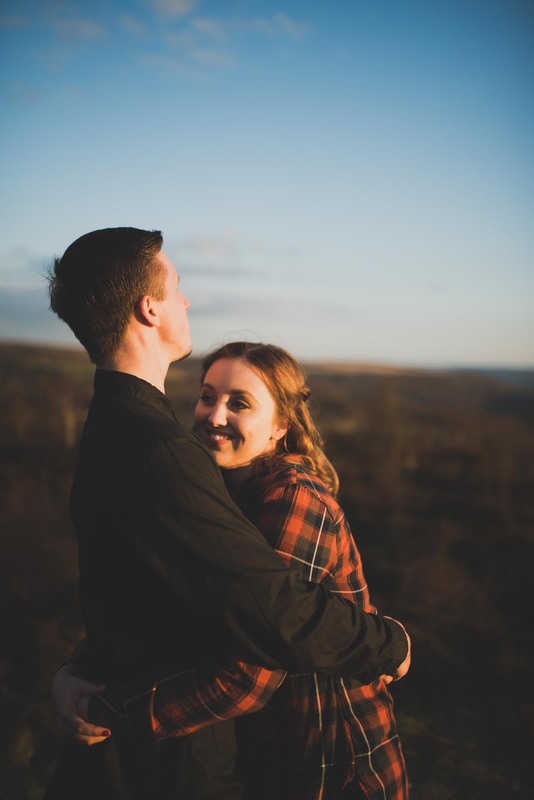 Surprise View Car Park is pay and display, card only (no cash), and chargeable between 10am and 6pm. 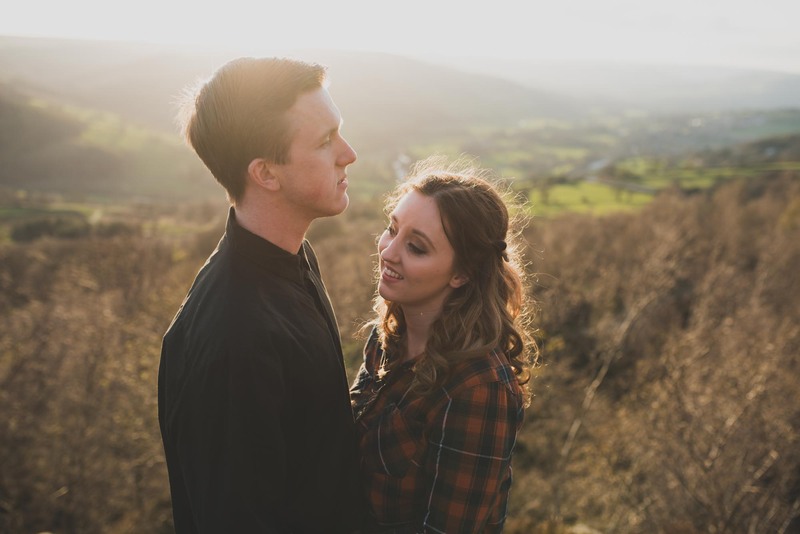 I didn’t note down all the charges but it looked like £1.50 per hour. 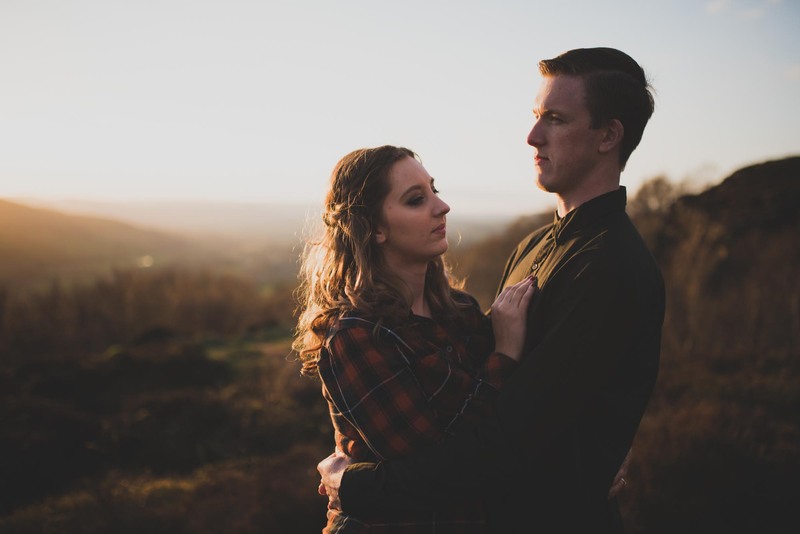 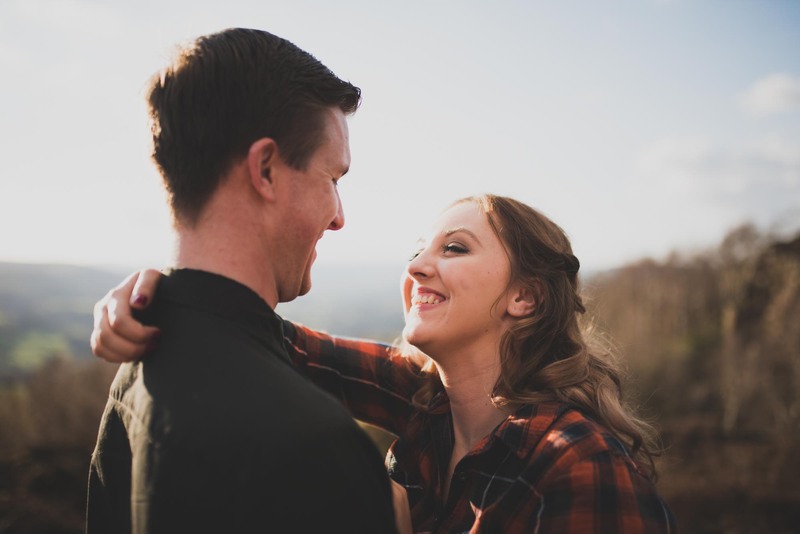 Oh and if you’re not sure whether it would be a good idea to have an engagement shoot before your wedding day, check out why Aimee (a former bride of mine) would 100% recommend having an engagement shoot. 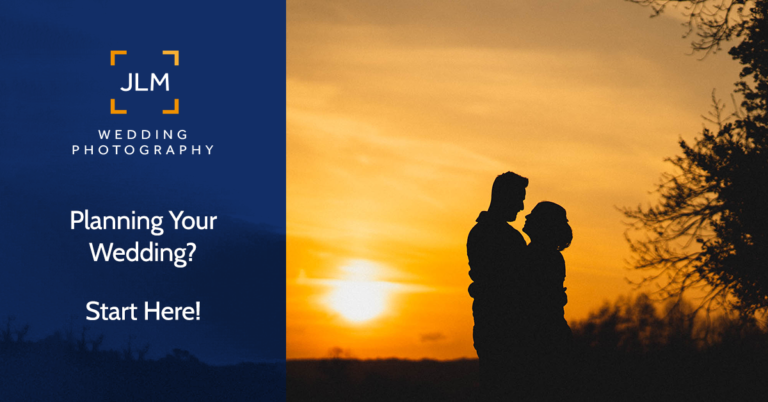 If you would like to talk to me about photo shoots or taking pictures at your wedding give me a shout, either fill in the contact form below, call me on 07739 113409 or email photos@jameslmorgan.co.uk.